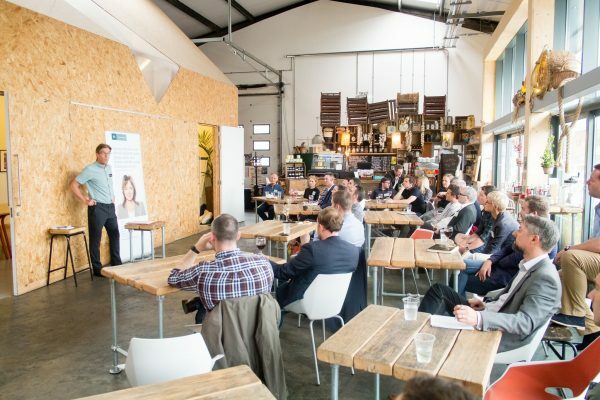 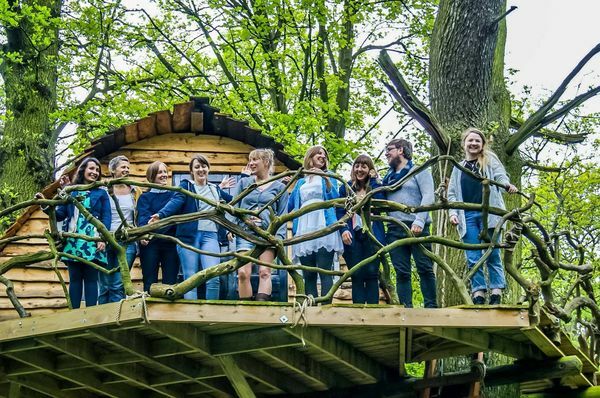 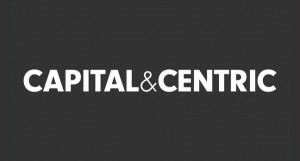 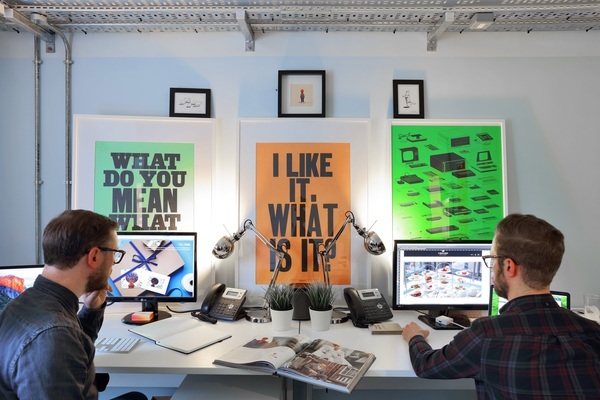 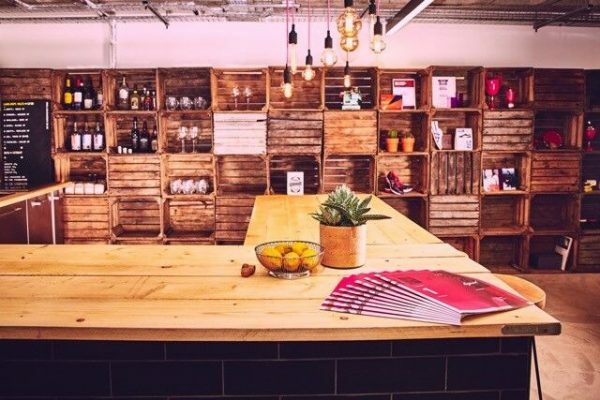 Inspired Spaces North, in association with Active Profile and backed by headline partner Capital&Centric and supporting partners Brabners and Zut Media, was launched in April 2016 and invited entries from agencies, organisations and companies across the North. 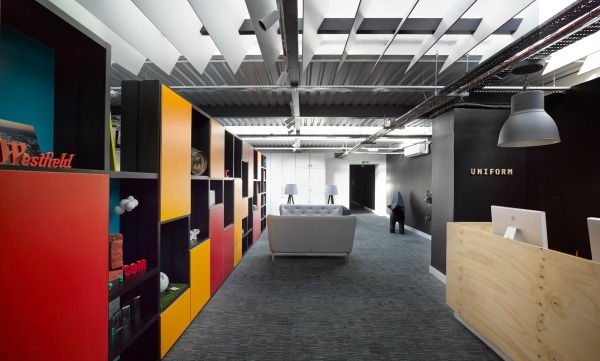 We were inundated with entries of some truly stunning offices, and after a three-hour judging session, shortlisted a total of 45 spaces. 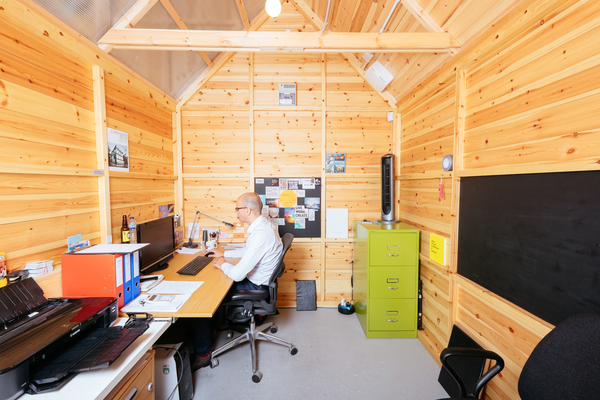 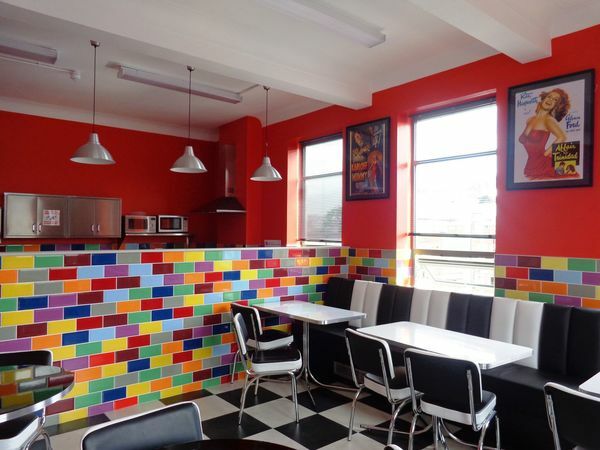 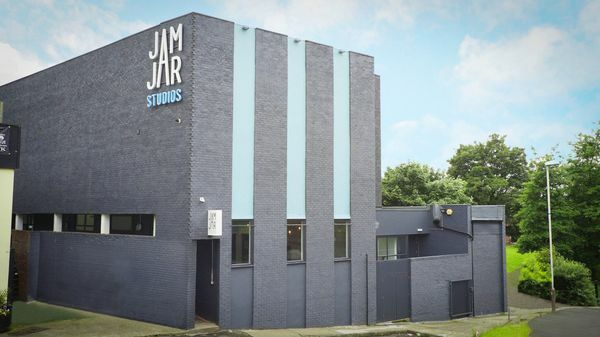 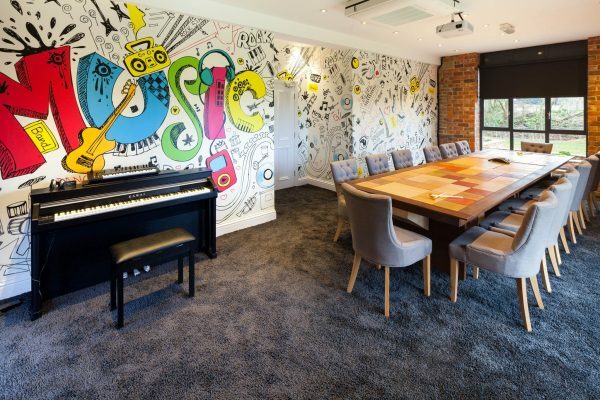 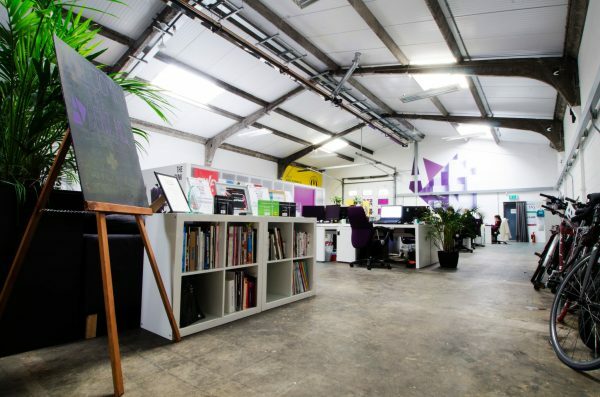 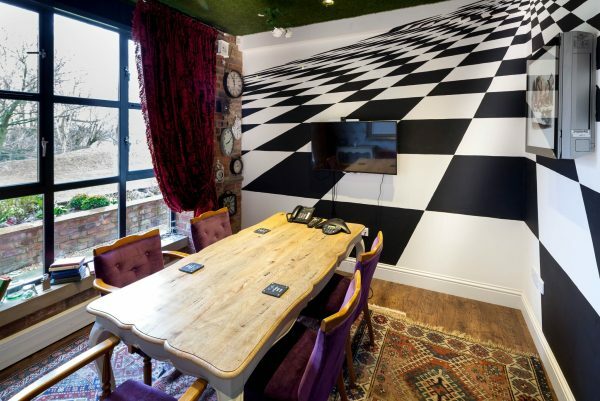 Jam Jar Studios, owned by video agency Superkrush Films, was originally a working mans’ club and had stood derelict for over 10 years before Superkrush owners Chris Taylor and Nick Todd bought the building outright and commissioned a complete refurbishment. 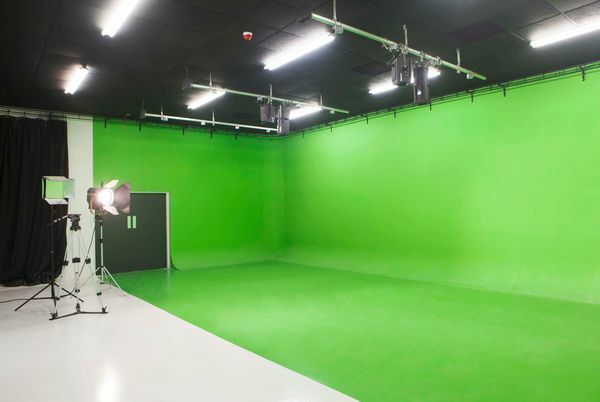 The building now houses Superkrush and five other creative businesses, and includes a café space and the North East’s largest purpose-built green screen facility. 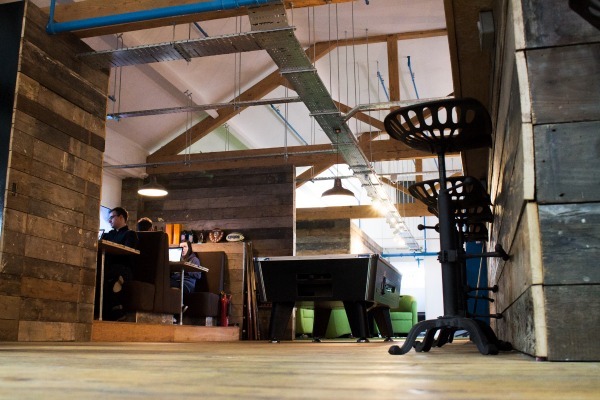 "From the day we moved in, there has been a great feeling about the space," they say. 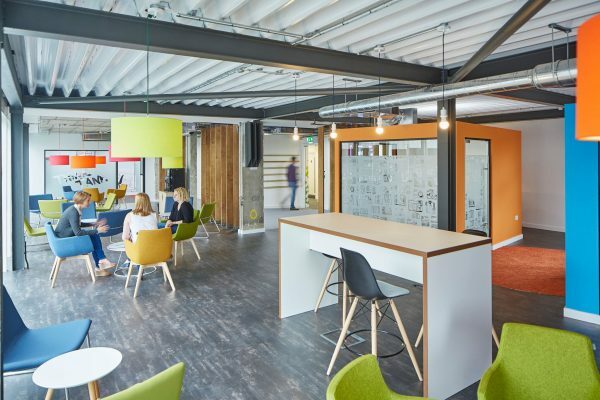 "We had seen the work at various stages, from a cold, inhospitable shell of a building site to a bright, airy, happy working environment. 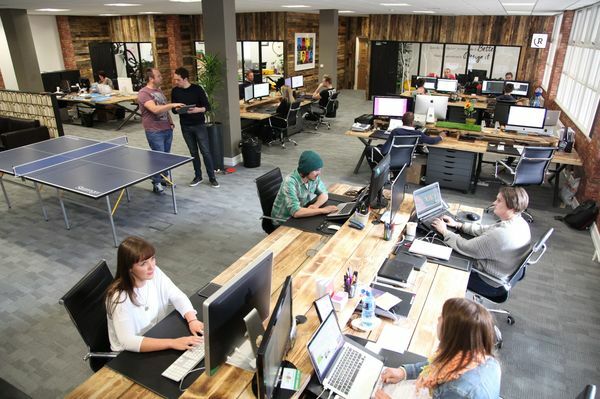 The business has flourished and so has the team." 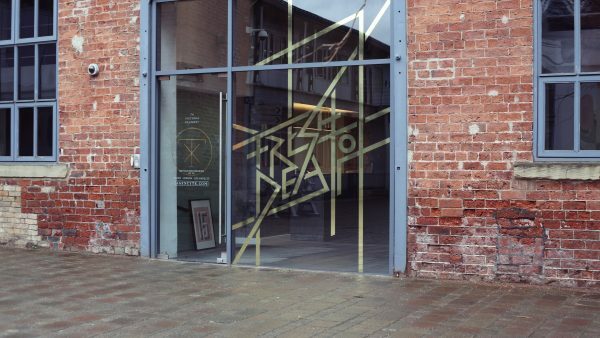 February 2015 saw Reckless relocate to Crook Street in Chester city centre. 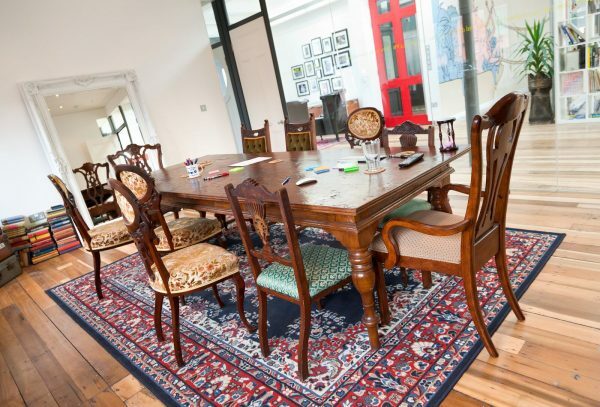 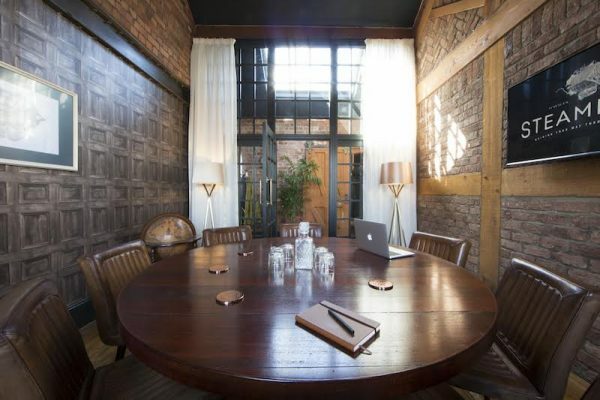 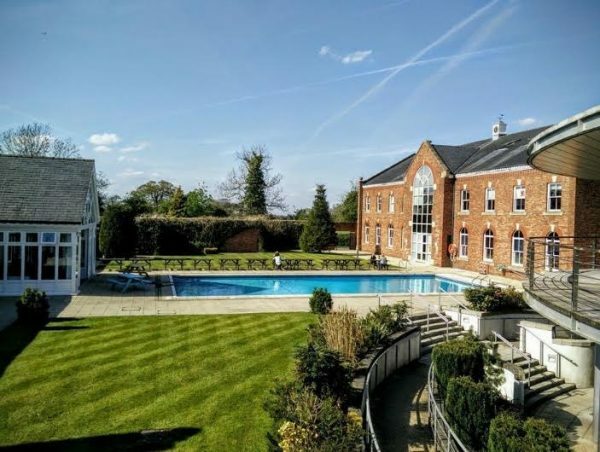 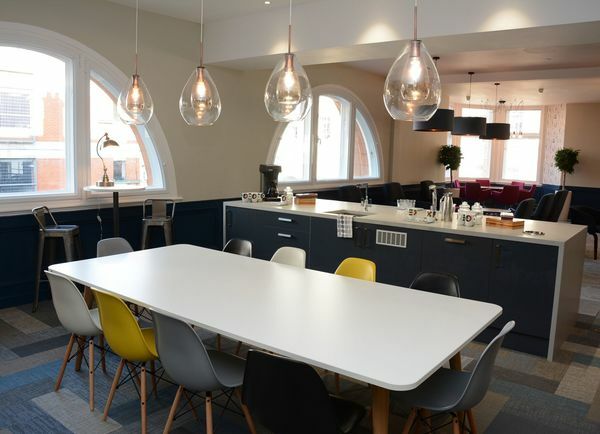 Its former base in the historic Chester rows had been beautiful - but with the team spread over three floors and nine rooms, hardly ideal for collaboration. 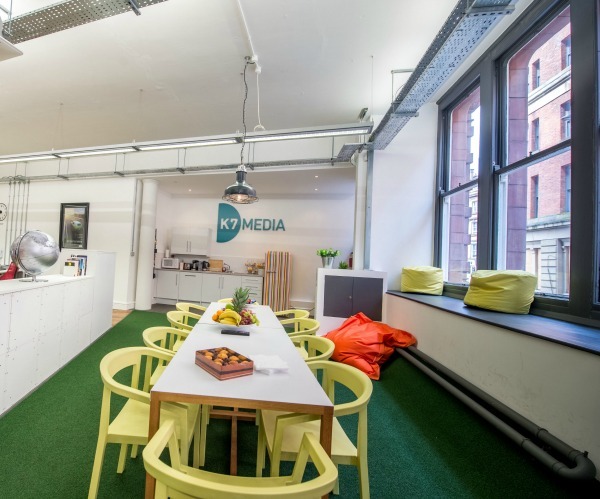 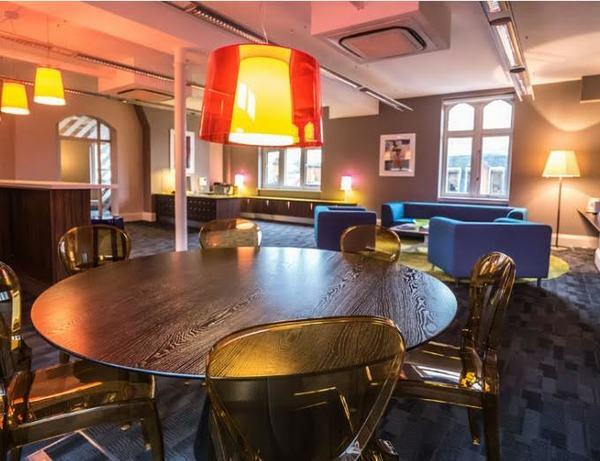 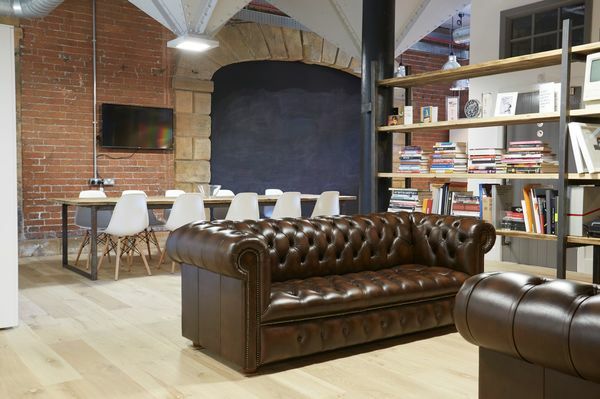 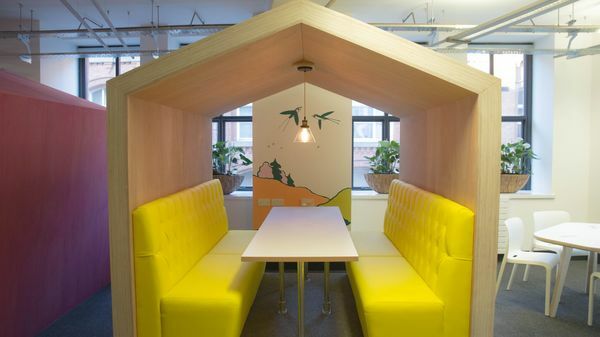 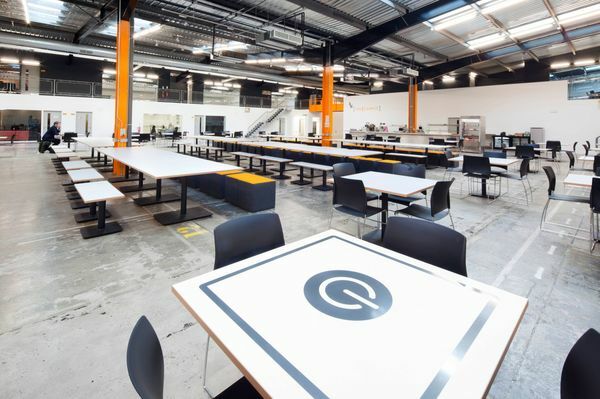 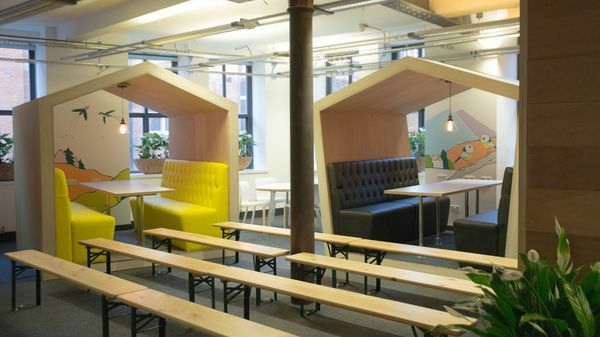 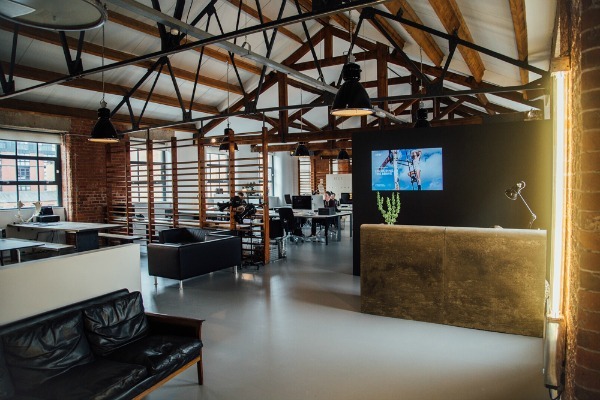 The new space - "a slice of New York loft and Manchester warehouse" - adopts an open plan layout which has encouraged collaborative working and communication across departments and all levels of the business, leading to increased productivity and a 72% growth in turnover. 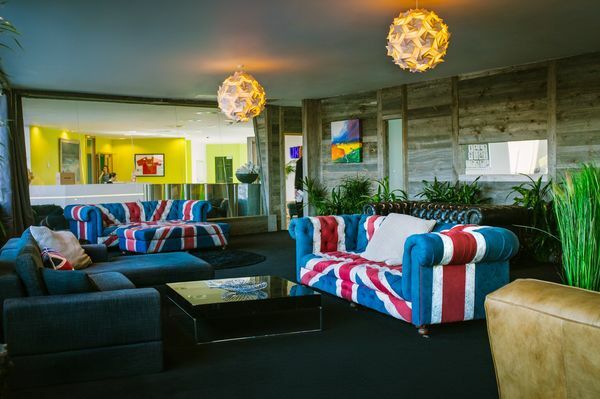 The space features a warm décor with burnt pallets and brick finishes around the windows, unique pieces of pop art, a lounge area with Xbox, a bar and the recent addition of some VR headsets. 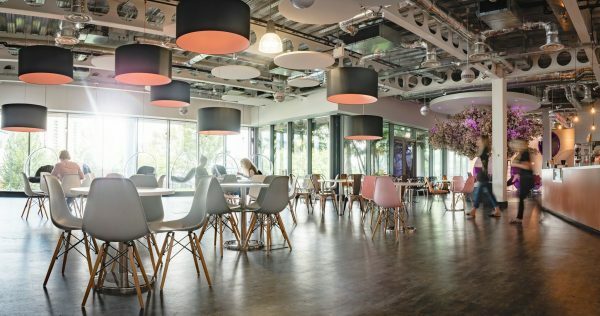 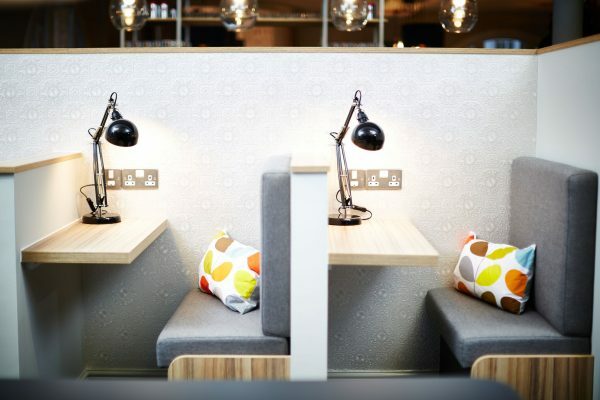 Dragonfly worked with the four-storey building's owner, Bruntwood, to complete its refurbishment, working on the reception, common areas, staircases, lift and the third floor. 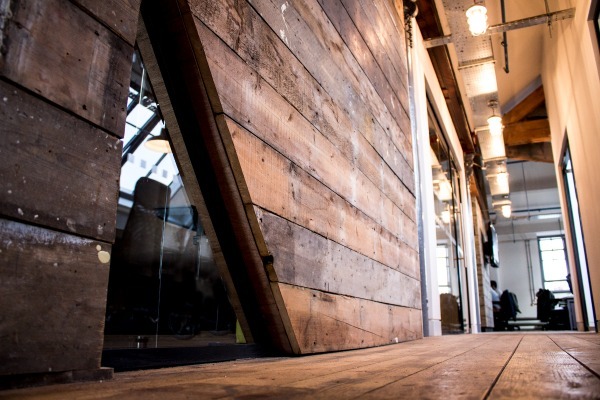 The main challenge came from access to the building. 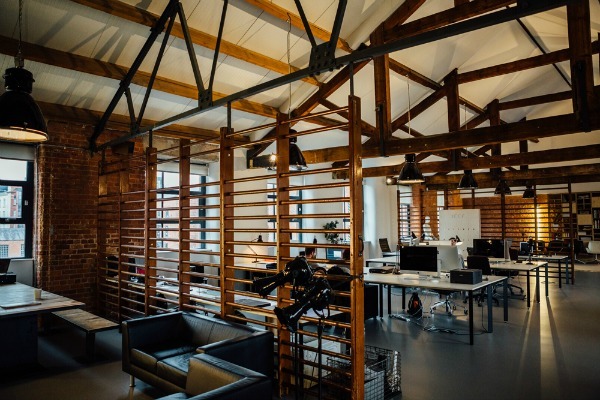 Some of the steel work used was up to five and a half metres long, but access to this was via a small window on the third floor. 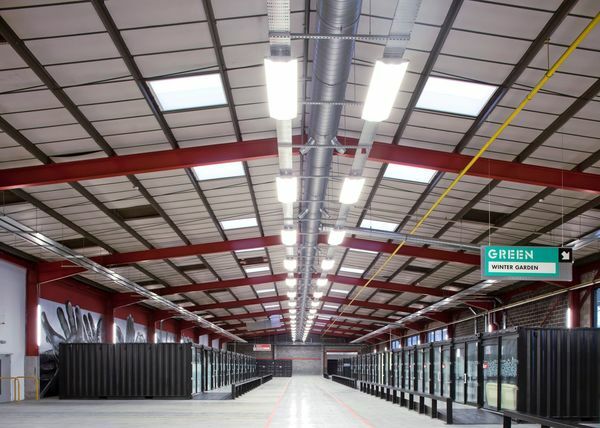 Dragonfly organised for a road closure and crane lift for the loading of the mezzanine steel work, eventually completing the two-day job inside a single day. 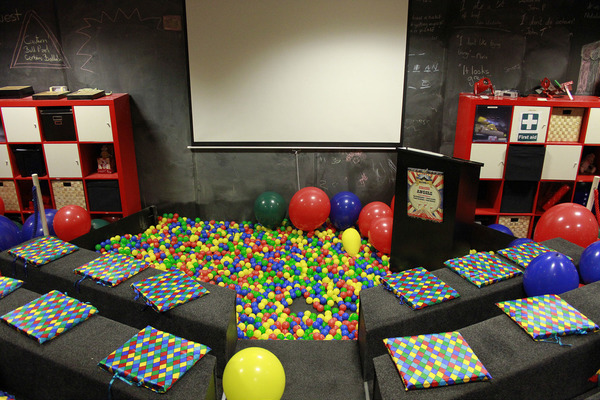 The result is a space with "bags of character". 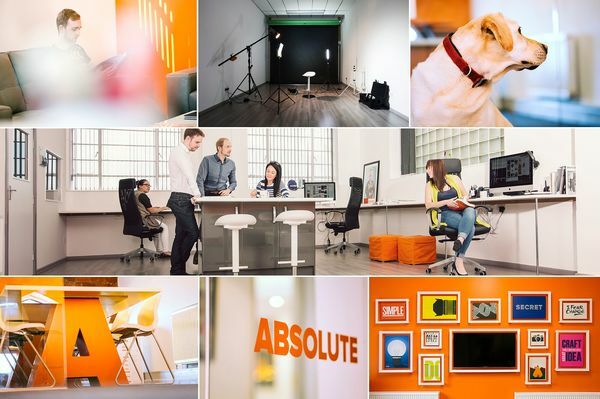 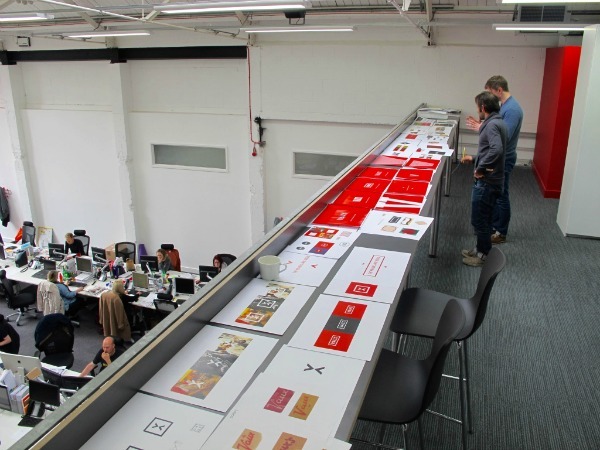 Code's 80-strong staff moved into its new 13,000 sq ft space on Dale Street earlier this year. 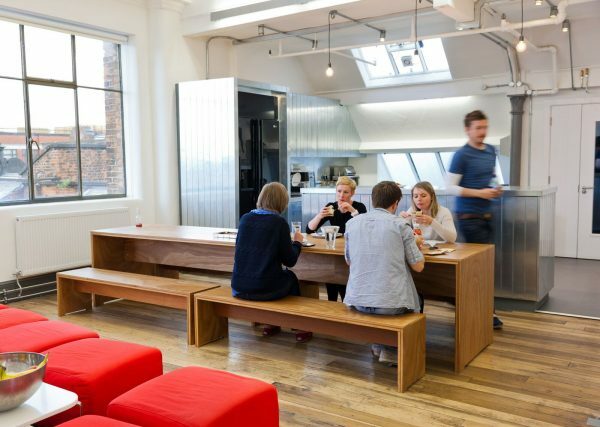 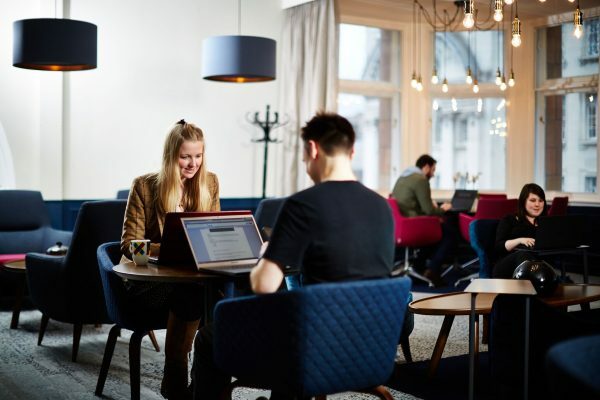 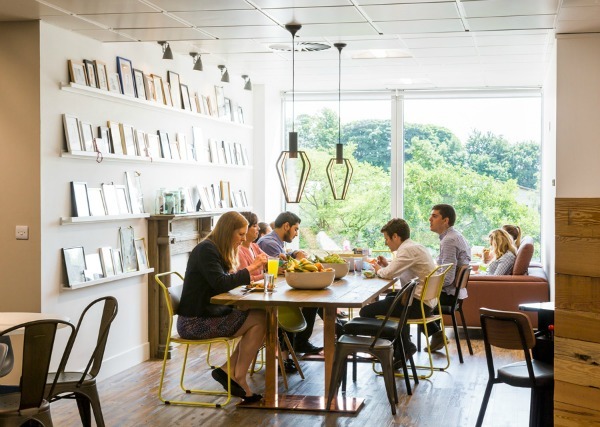 It's enabled the agency's move to client-centric teams – where teams are physically sat together, living and breathing the clients they work on. 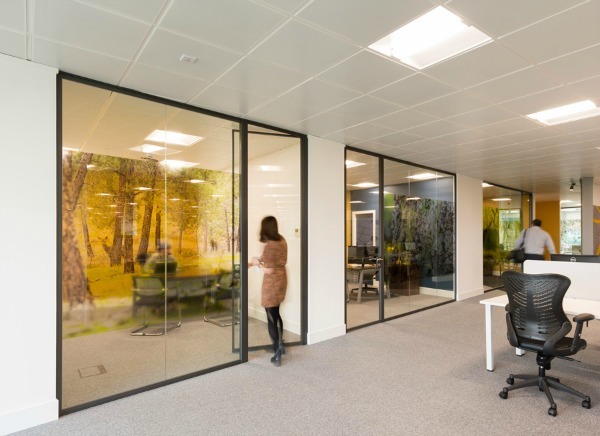 Work areas with large screens enable teams to keep track of flow and view real-time metrics on client work. 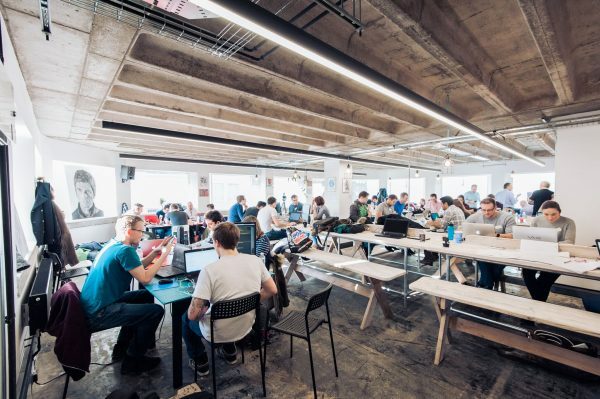 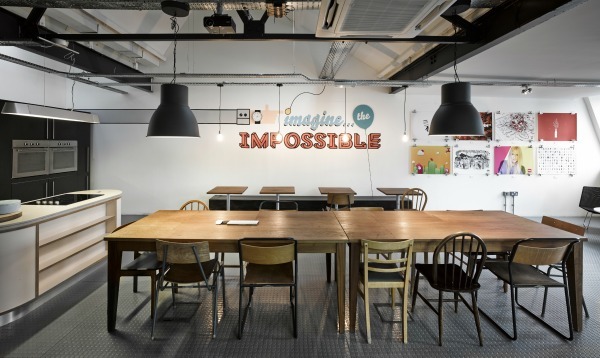 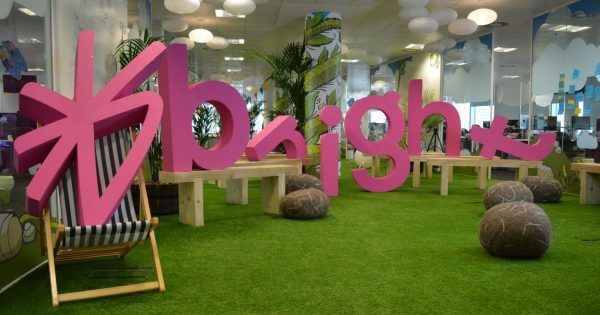 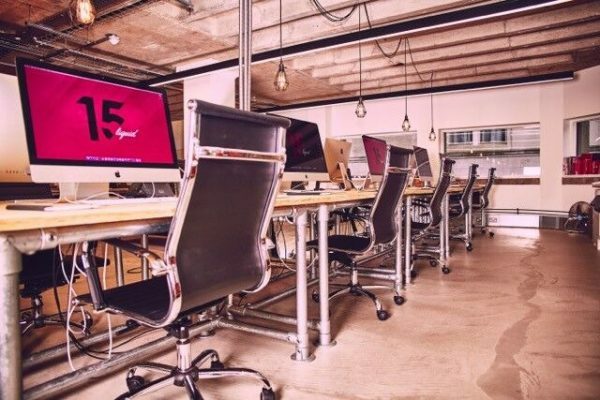 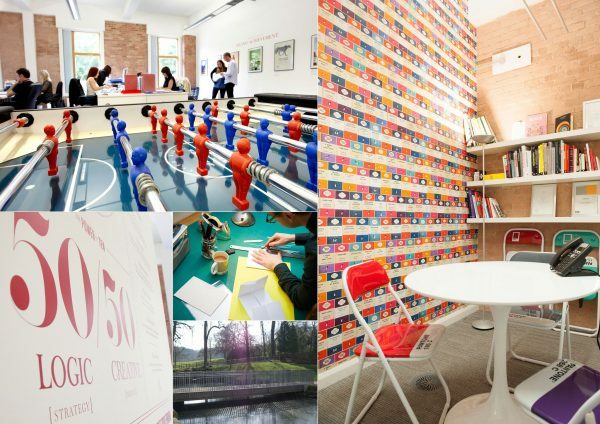 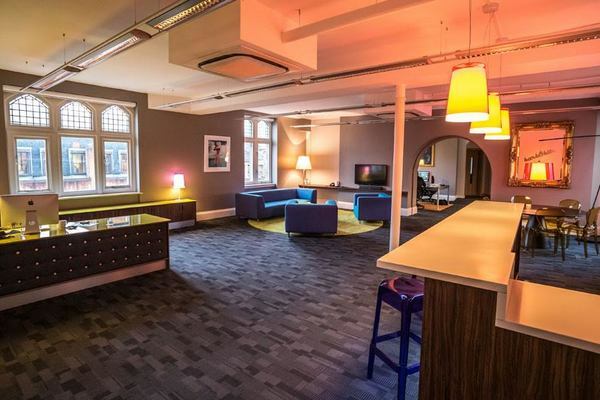 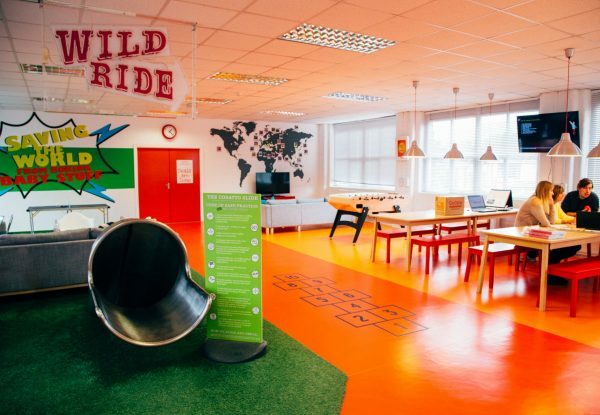 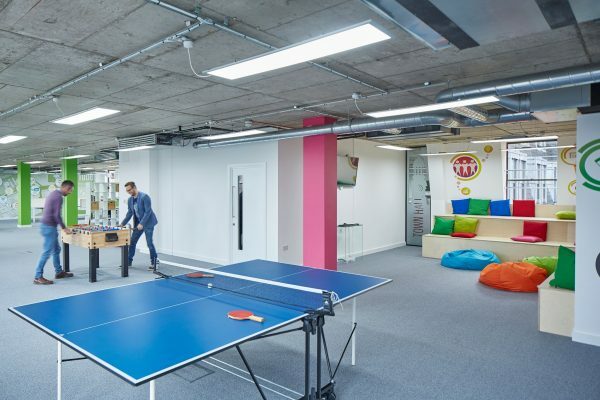 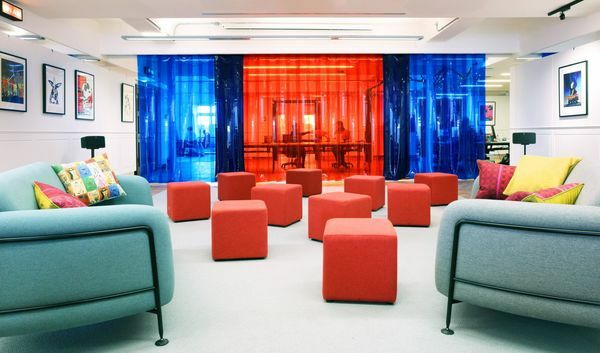 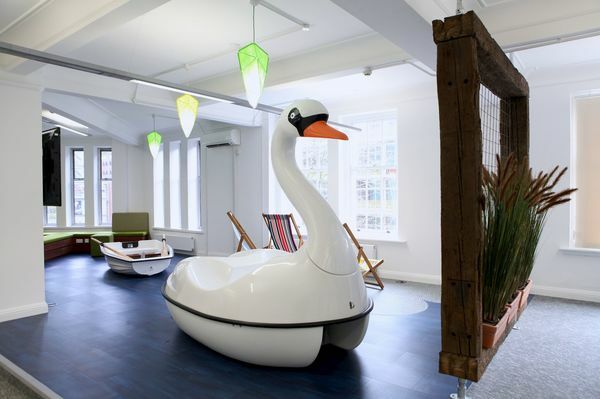 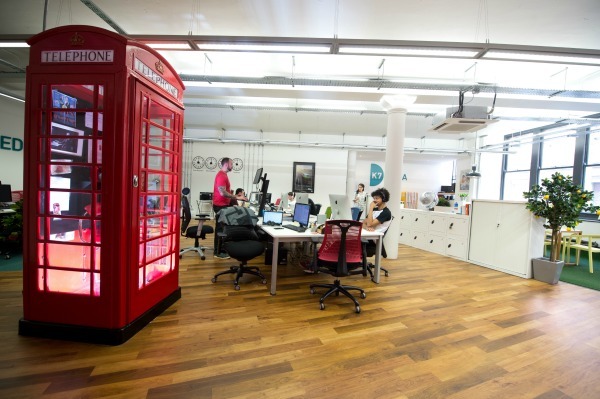 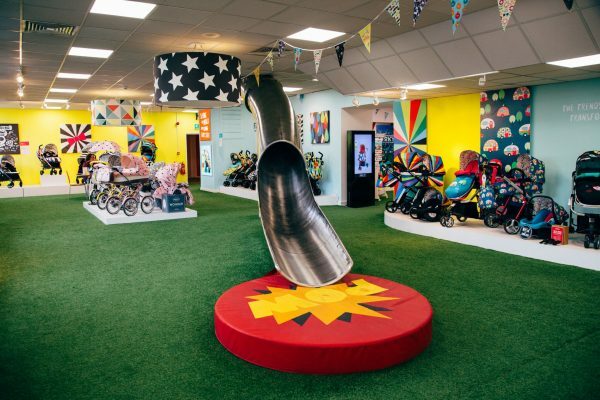 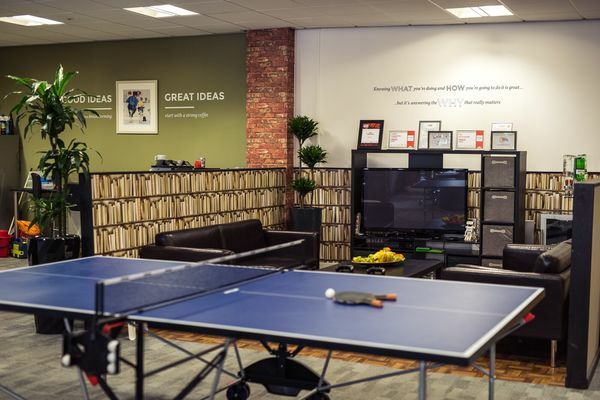 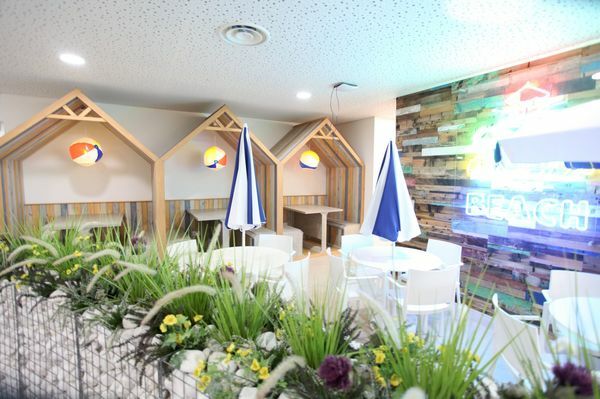 Other features of the space include a 100-person learning area, a state-of-the-art UX testing lab, a War Room for planning and strategy, and a games and media area kitted out with retro electronics (including a Sinclair C5), table football and a Playstation. 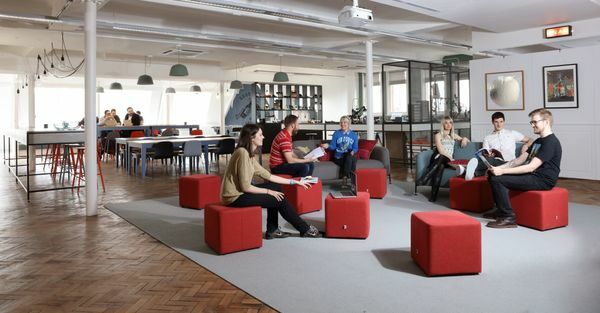 "We’ve created a space that fosters a culture of empowerment and improvement," Code says. 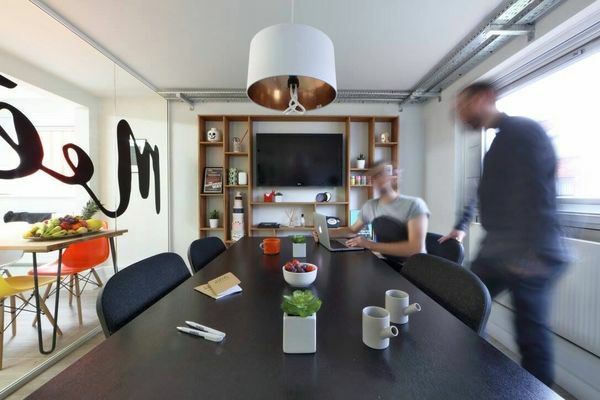 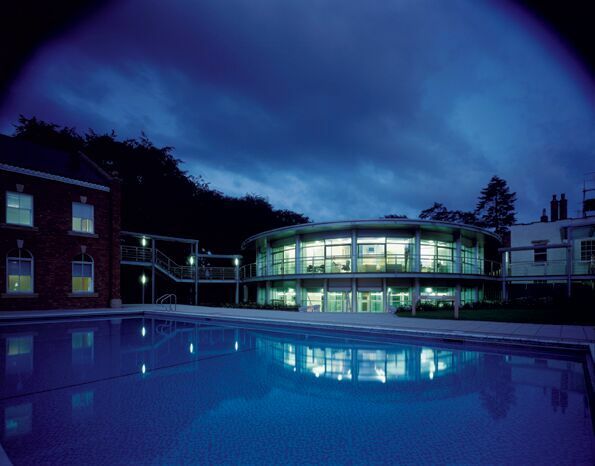 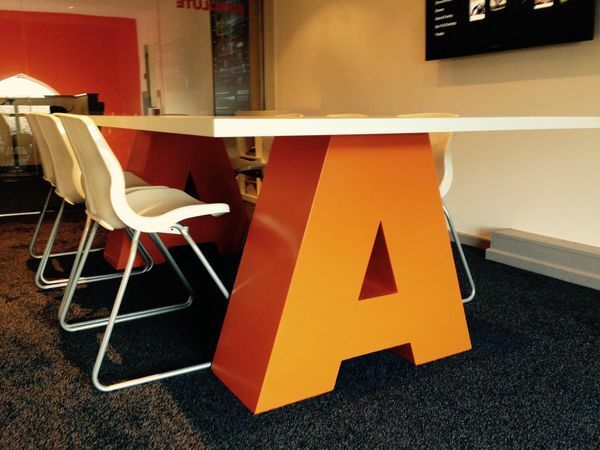 "It's totally geared up to deliver our vision and proposition, methodologies and ways of working with clients." 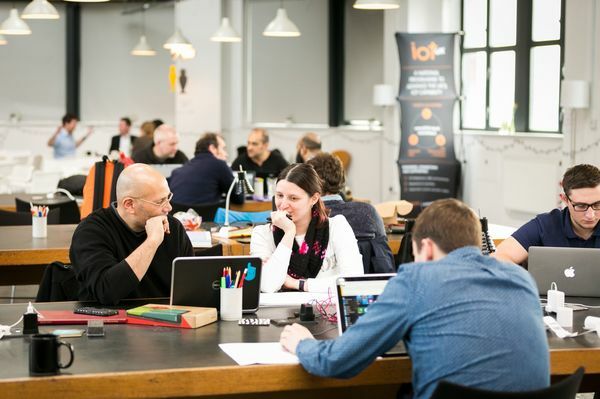 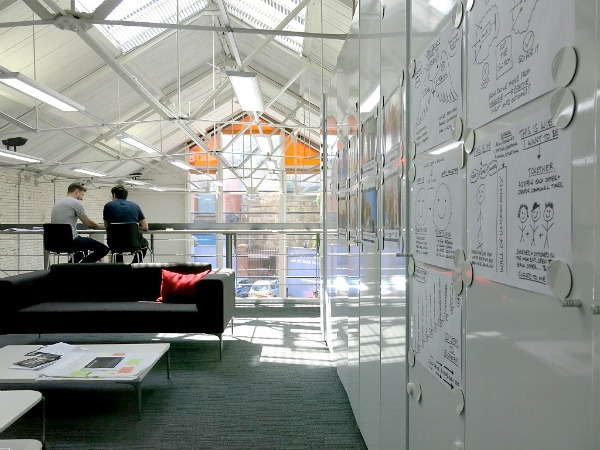 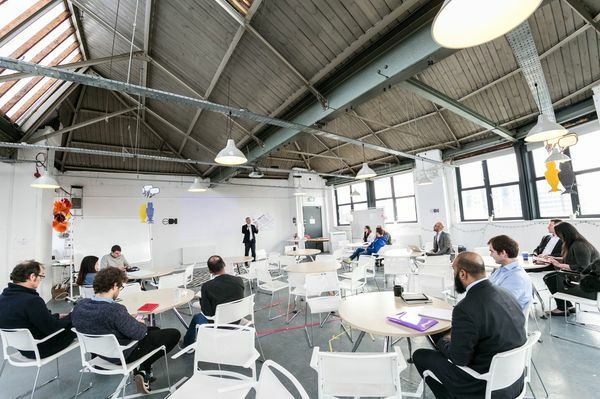 ODI Leeds, a not-for-profit pioneer node of the Open Data Institute, is a space where anyone can come together to engage and innovate with open data. 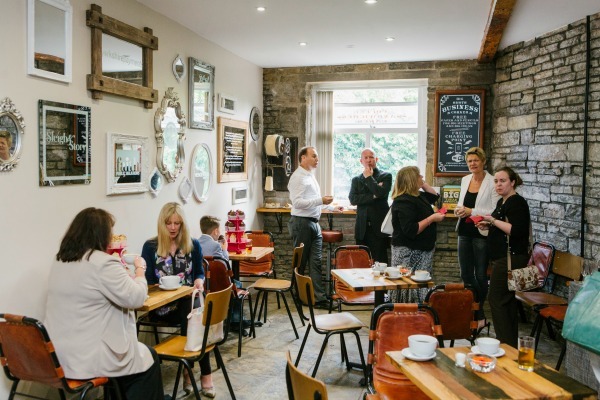 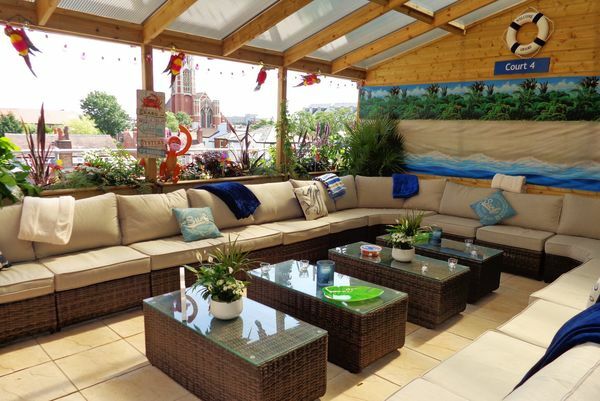 It was transformed from a husk into the bright, welcoming space it is now on a shoestring. 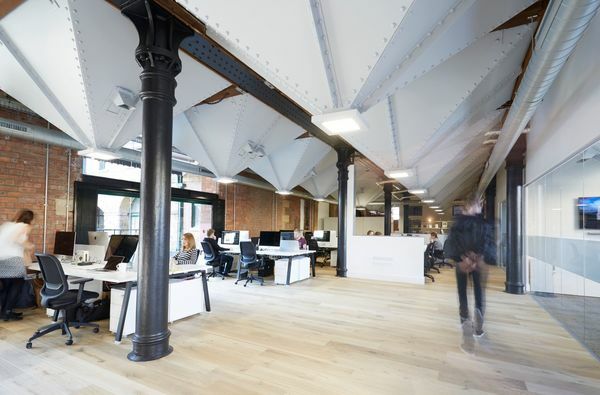 Led by events director Kathryn Connell, the building was stripped back and the outdated office ceiling lighting taken out to give access to brilliant skylights. 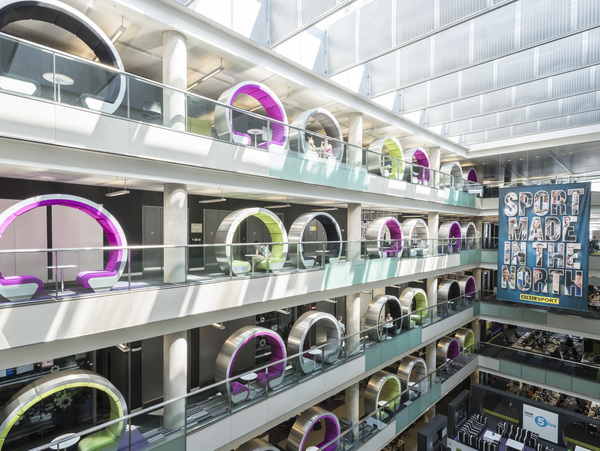 The tables were reclaimed from Birmingham Central Library (and all the chewing gum scraped from beneath them). 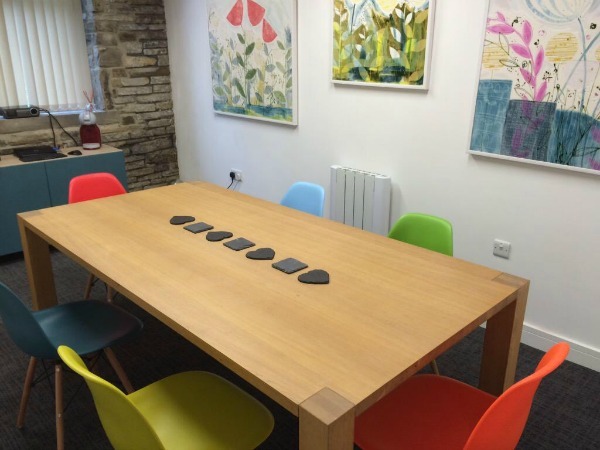 It's now a space that accommodates several events a week. 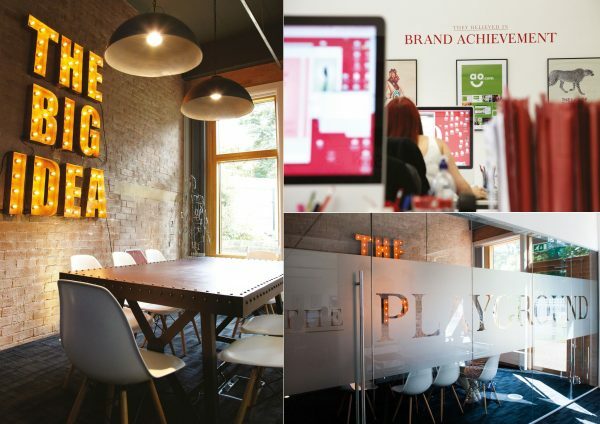 "There is an expectant energy, that great things can be made here. 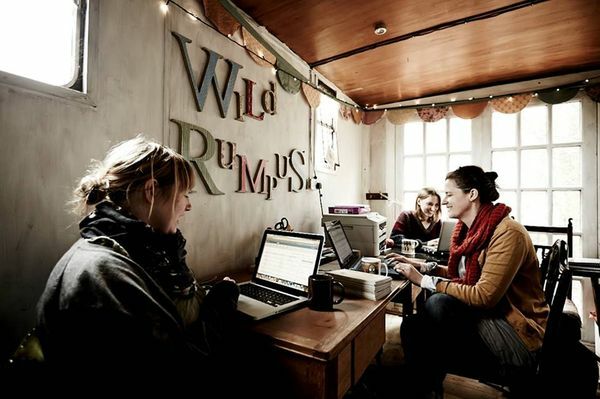 People come together to make change happen, starting small and growing from there. 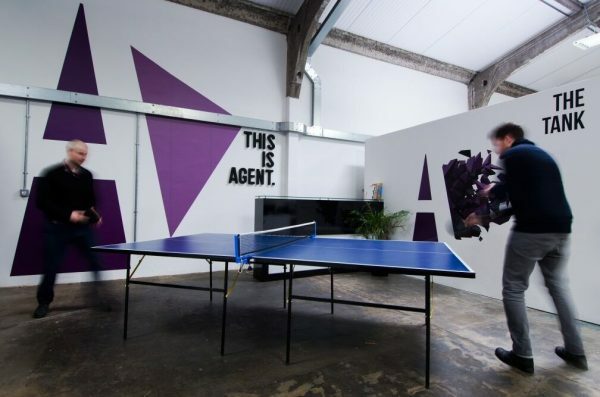 All in this space." 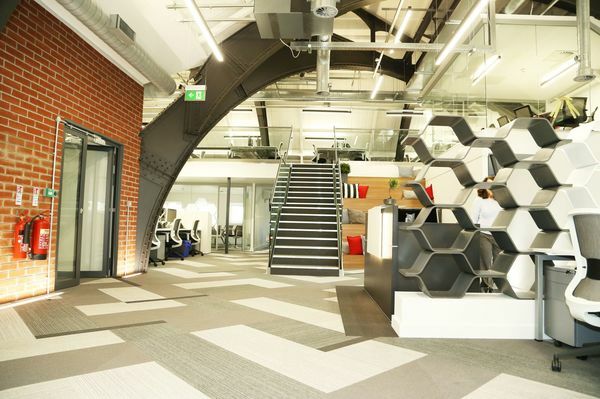 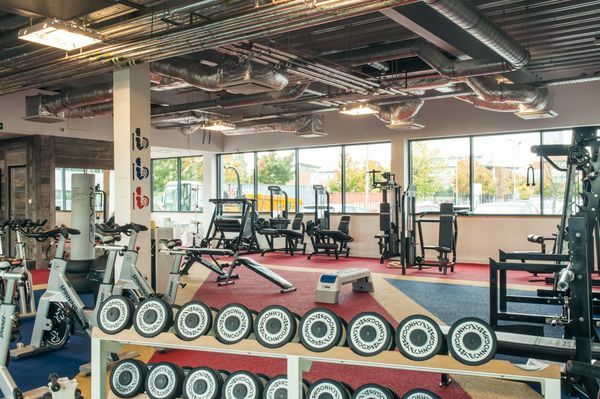 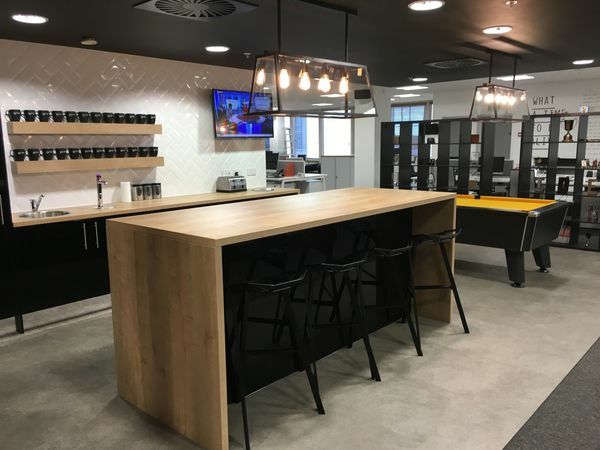 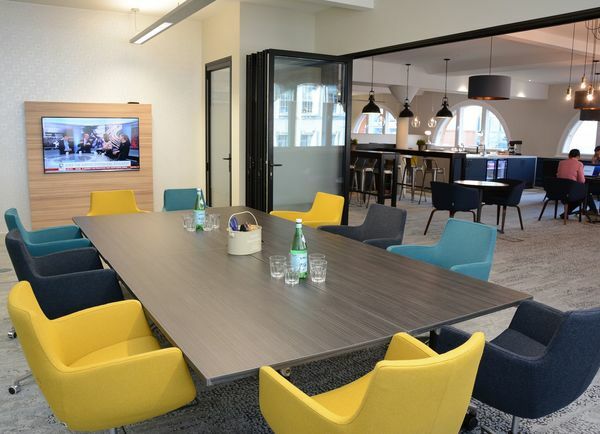 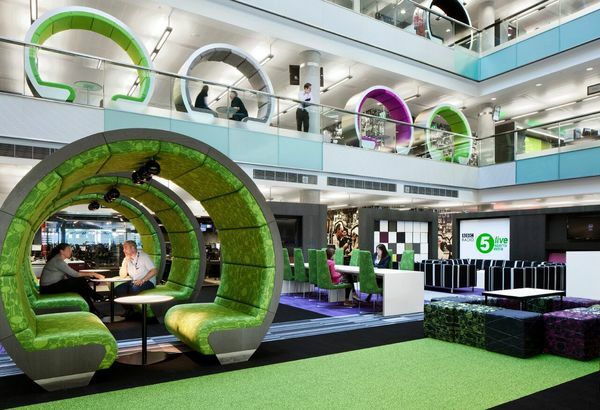 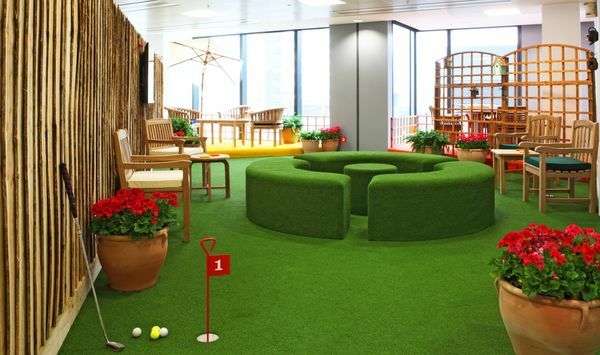 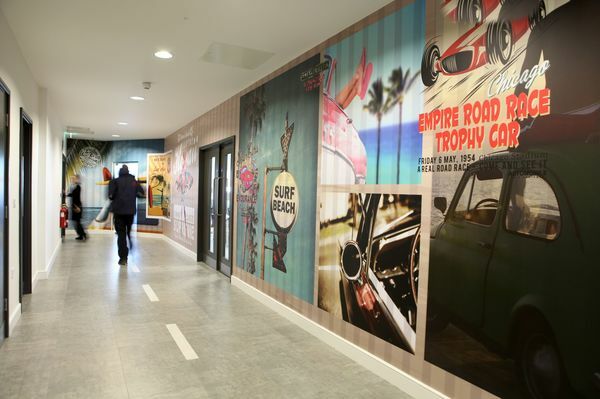 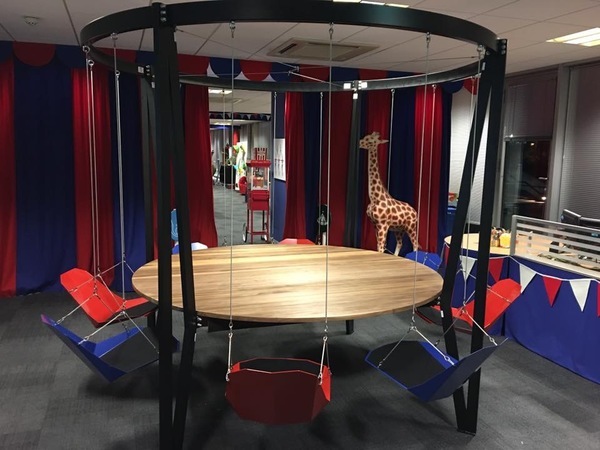 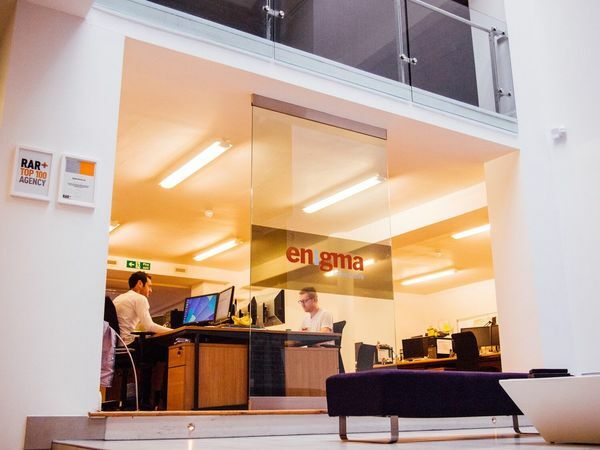 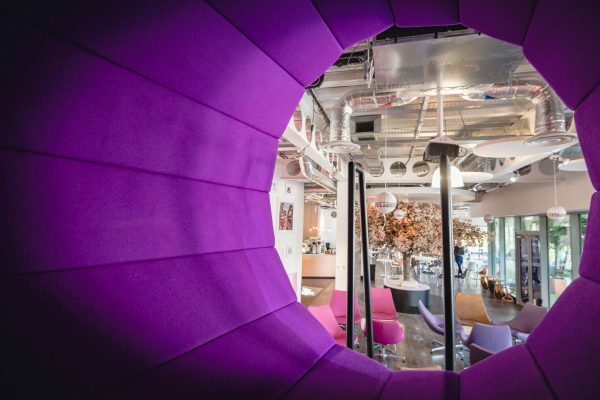 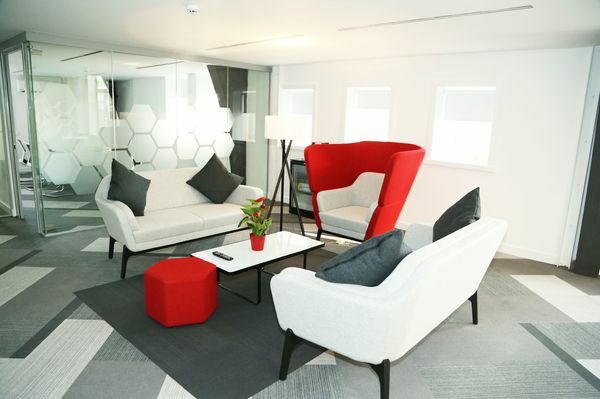 Over 100 staff played a part in the £2.5 million refurb of the company's 63,000 sq ft space – home of its customer service centre – on Quay Street. 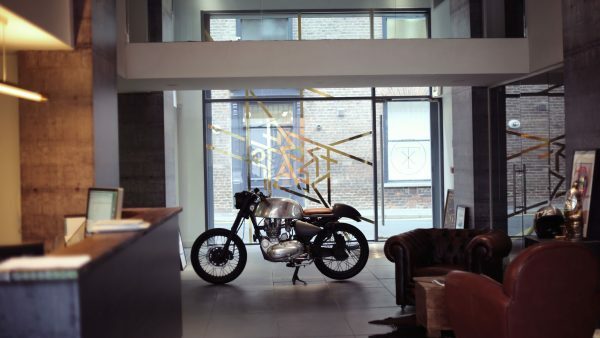 Each of the five floors is inspired by icons that are intrinsic to Manchester’s rich heritage – including ‘Science and Industry’, ‘The Northern Quarter’ and ‘Manchester Culture’. 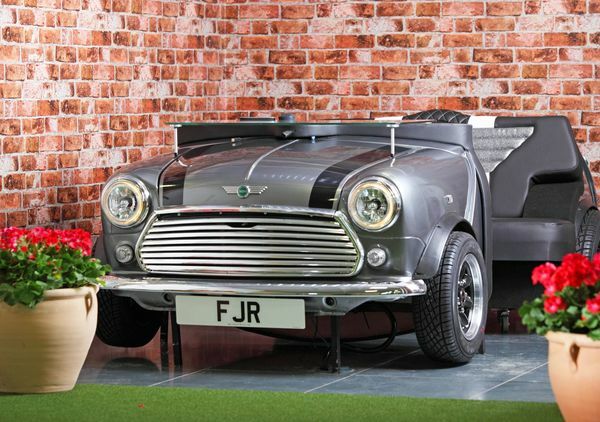 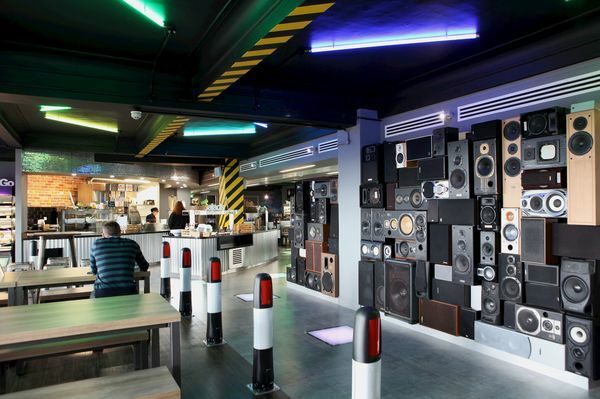 There’s also a rowing boat on the indoor lake on which to take time out – and the in-house café is a reimagining of Manchester’s legendary Hacienda nightclub, complete with yellow-and-black bollards, multi-coloured uplights, a ‘VIP area’ and tailor-made speaker wall. 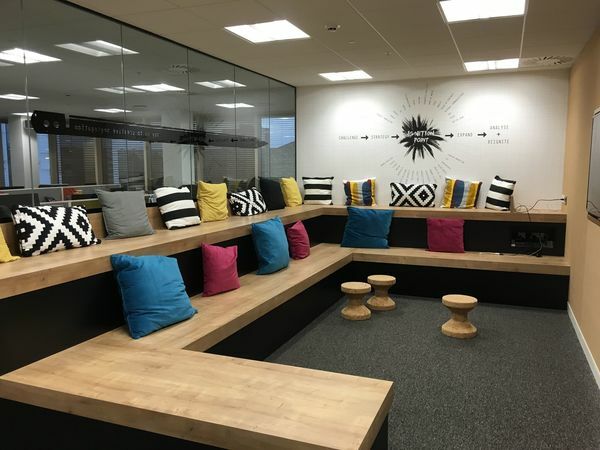 "This space is designed to inspire the people who deal with our customers on a daily basis to deliver for them... it's a beautiful space inspired by Manchester itself. 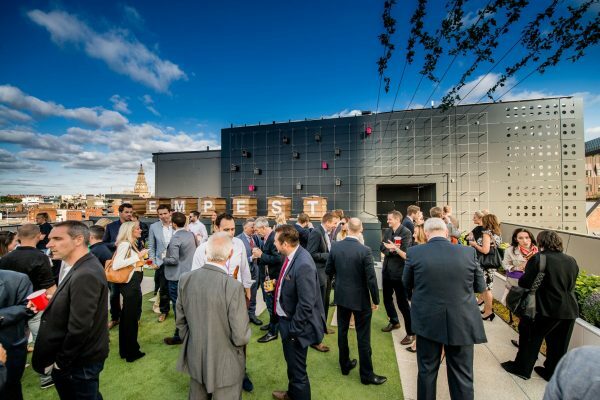 Every element of the building captures the amazing diversity of our great city."